Brenda studied business administration at the University of Phoenix, received her coaching certification P.C.C. (professional coach certification) and has logged over 2,500 coaching hours. 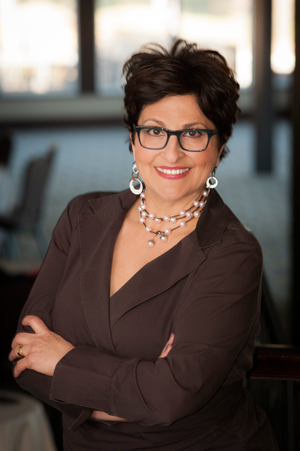 Her certifications include: Certified DiSC Facilitator, Five Behaviors of a Cohesive Team (Inscape/Wiley), Certified Enneagram Facilitator (Enneagram Institute), Certified Emotional Intelligence Facilitator (MHS) and Certified Birkman Facilitator (Birkman Institute). Get ready for a new full-loop communication tool that reimagines the power of 360 feedback. Everything DiSC 363 for Leaders combines the best of 360 with the simplicity and power of DiSC to deliver a more productive, insightful, and informative experience and a roadmap of actionable steps leaders can take to improve their effectiveness. Set the pace as a leading consultant, coach, or training professional with this powerful approach to developing effective leaders. Using the latest research into leadership best practices, Everything DiSC Work of Leaders connects unique leadership styles to real-world demands, focusing on the tangible steps leaders can take to effectively move an organization forward. Take advantage of Everything DiSC Management to help your clients build capacity and strength among managers at all levels—whether longtime veterans or those new to the role. Tailored specifically to enhance the critical skills managers need to build solid, one-to-one relationships with direct reports as well as up the chain-of-command. Engage more learners and reach further across your client organizations. Easily customize the dynamic content of Everything DiSC Workplace to help everyone—at every level, in any role—learn new ways to build more effective relationships and improve the overall quality of the workplace. Make a direct impact to your client’s bottom line with Everything DiSC Sales. Tap into the power of this customizable DiSC-based training solution to help sales professionals effectively recognize and adapt to their customers’ unique buying styles—and close more sales.